Hello everyone! We are finally down to the last category of color products! YAY! I thought I had more products but I was really surprised with how many eye products that I have. 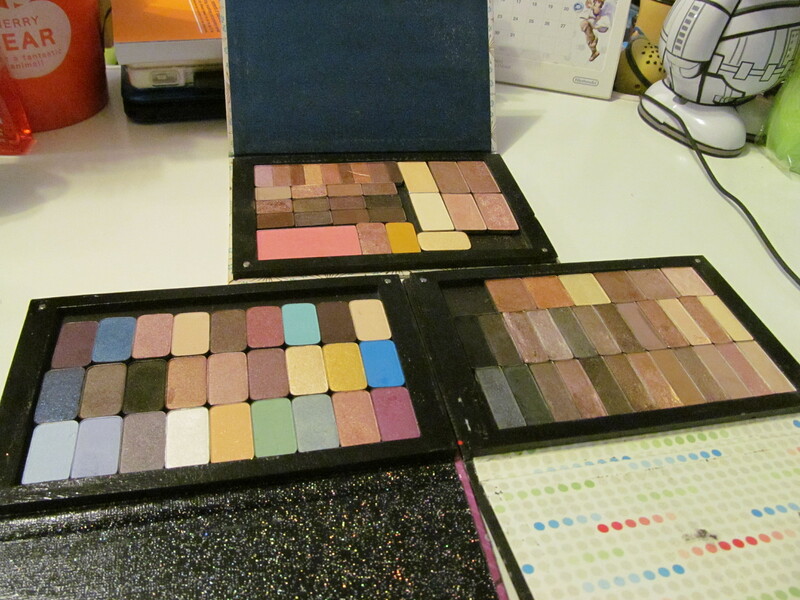 Anyways, here are the larger palettes that I have. 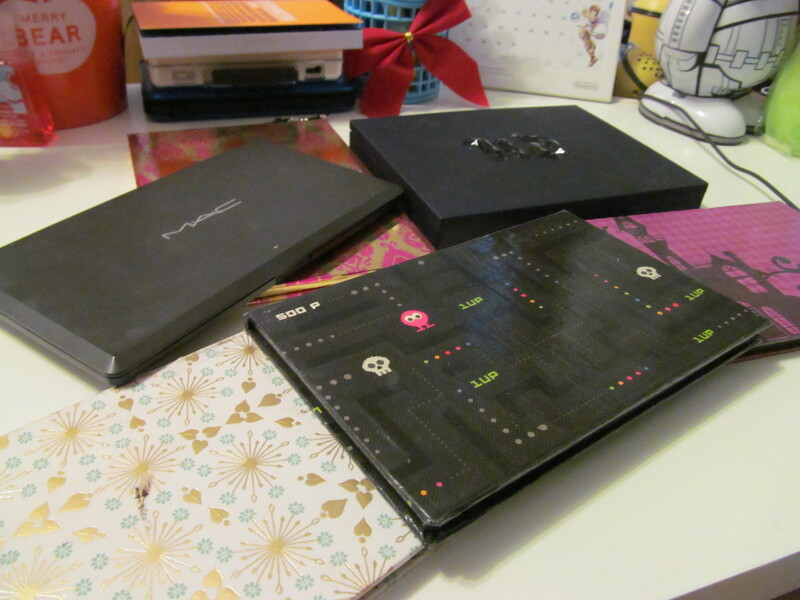 The small palettes in the second photo is a magnetic palettes from Etsy (seller anothersoul). Top palette contain Too Faced Natural at Night and Natural Eyes, Elizabeth Arden blush, Physician’s formula Baked Bronze Eyeshadow palette and a few of the SephoraxDisney Jasmine Palette. Bottom two contains SephoraxDisney Cinderella and Jasmine, Urban Decay Naked and Naked 2, and Covergirl Trio in Golden Sunset and Shimmering Sands. 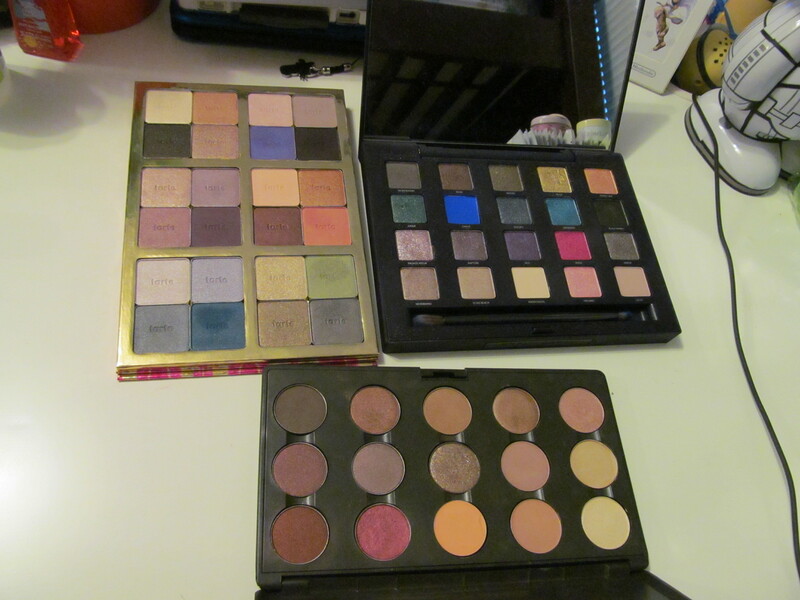 I don’t reach for these palettes as much because they are bigger than I would like to use. I should start using them again though.